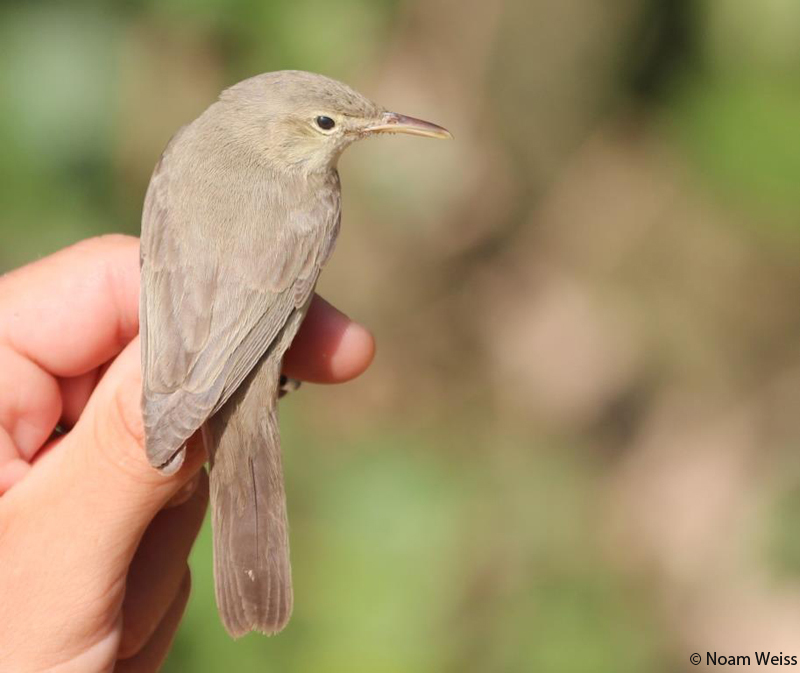 On October 1st Noam Weiss trapped this intriguing Iduna warbler at IBRCE, Eilat. 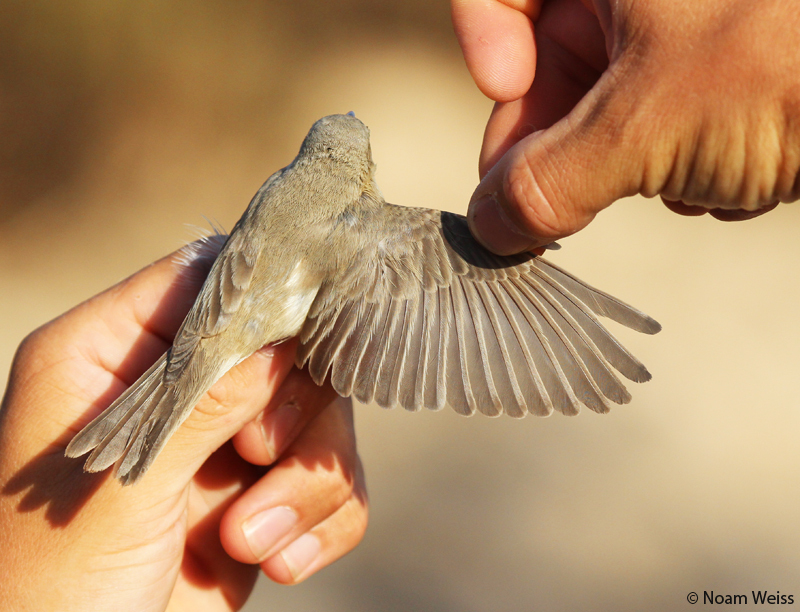 Noam is the director of the IBRCE, and is one of the most experienced ringers in Israel. 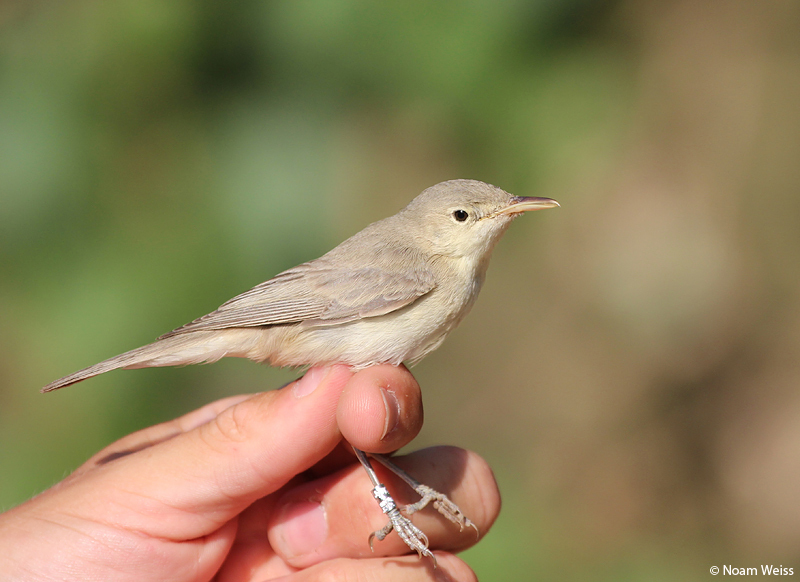 Noam must have handled in his extensive ringing carrier several thousand Eastern Olivaceous Warblers I. elaeica, the default Iduna in Israel, and he was immediately struck by this individual – how pallid and sandy it was, and this amazing bill! 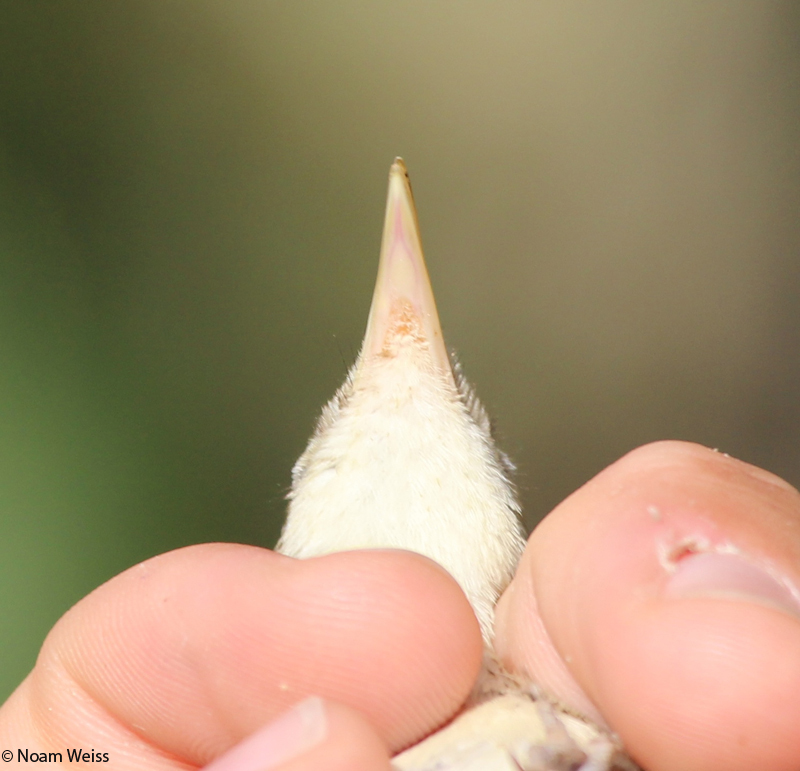 Pale wing panel on secondaries – opaca lacks a wing panel. Overall tones – though this bird lacks the typically olive-grey tones of elaeica, it still lacks the brown, almost Acrocephalus tones of opaca. The lores are pretty dark, and supercilium rather pronounced. opaca has a more open-faced impression with pale lores. 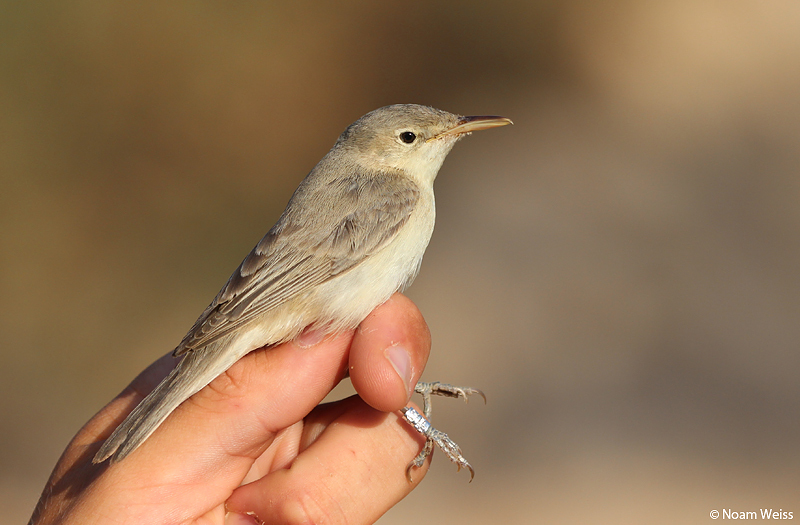 After consulting with members of the Spanish rarities committee, including Manolo Garcia, the consensus on this bird is that it is an unusual elaeica with a deformed bill, and not opaca. But maybe DNA analysis provides different insights? We will know more soon. 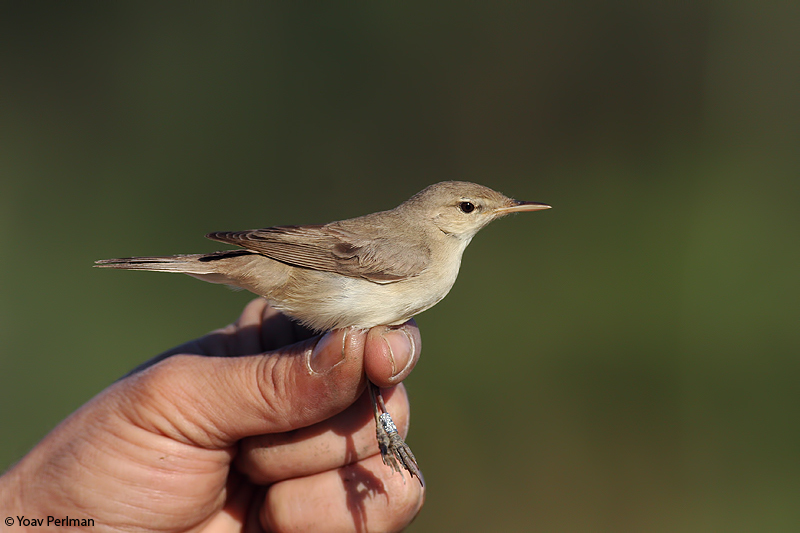 Thumbs up to Noam for picking out this interesting bird, and sharing the images and information with me. 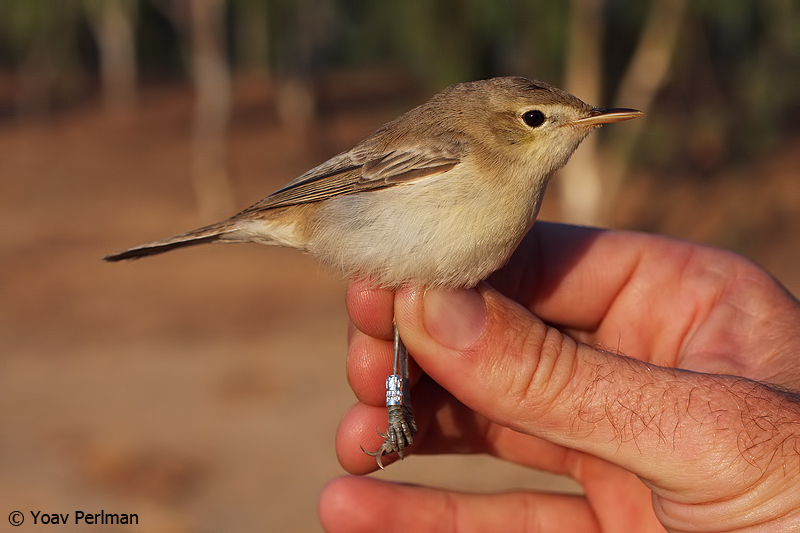 Identification of Iduna warblers has been discussed on Birding Frontiers before – check this post with some images of opaca and reiseri. But always there is more to learn!